Following a fatal accident or catastrophic injury, victims and their families must begin rebuilding their lives in the wake of tragedy. 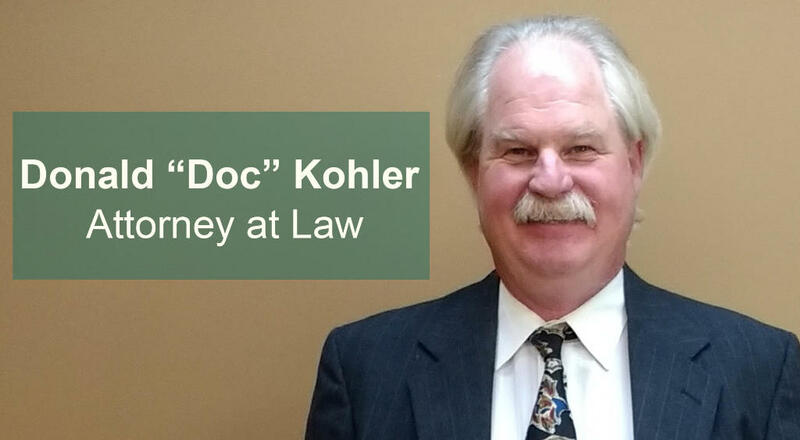 Attorney Donald W. "Doc" Kohler has helped many Minnesota families deal with the aftermath of a serious accident by handling wrongful death and catastrophic injury claims on their behalf. Please learn more about these claims below. Donald W. "Doc" Kohler has represented many grieving families in the Minneapolis-St. Paul area in wrongful death actions. If your loved one's death resulted from a work-related incident, you may also be entitled to death benefits under Minnesota's workers' compensation system. Our office can help you file these claims as well. Severe Burns - Severe burns are among the most painful and debilitating injuries that a person can sustain. Treatment for severe burns often involves extended hospital stays, rehabilitation, and reconstructive surgery. If you or a loved one has suffered severe burns as the result of another's negligence or wrongful act, we will work with you to evaluate your case, bringing in experts if necessary who can accurately assess your current and future damages. Traumatic Brain Injury - Traumatic brain injury (TBI) can occur when a sudden physical impact or shaking damages the brain, and can range from minor concussions to injuries causing permanent vegetative state or coma. Common causes of TBI include vehicle accidents, falls, and sports injuries. Fractures - While minor fractures may not be considered catastrophic injuries, serious fractures may require surgery and extensive physical therapy to regain mobility. The time it takes for fractures to heal can limit a person's capabilities at work and home for weeks or even months. Spinal Cord Injury - Spinal cord injury (SCI) can occur when a traumatic force tears or bruises the spinal cord. Severe SCIs result in loss of feeling and functionality of the limbs, and in some cases, acute respiratory and breathing problems. The most serious SCIs cause permanent paralysis. SCIs often require constant care and treatment, which many families cannot afford. We can help you obtain legal damages to pay for these costs. If you have lost a loved one in a tragic accident, or if you or someone you know has suffered a catastrophic injury due to another person's intentional or unintentional wrongdoing, please contact Donald W. "Doc" Kohler in White Bear Lake. During a free initial consultation, Mr. Kohler will take the time to understand your needs and goals in pursuing a wrongful death action or personal injury claim.